Joel Collette, a native of North Carolina, gave his life to Christ at the age of seven. God called Joel into ministry in his teens and he preached his first sermon at age 14. He has worked in various ministries throughout his lifetime. God called Joel to pastor his first church in 1986. Since that time he has pastored two other churches in North Carolina. 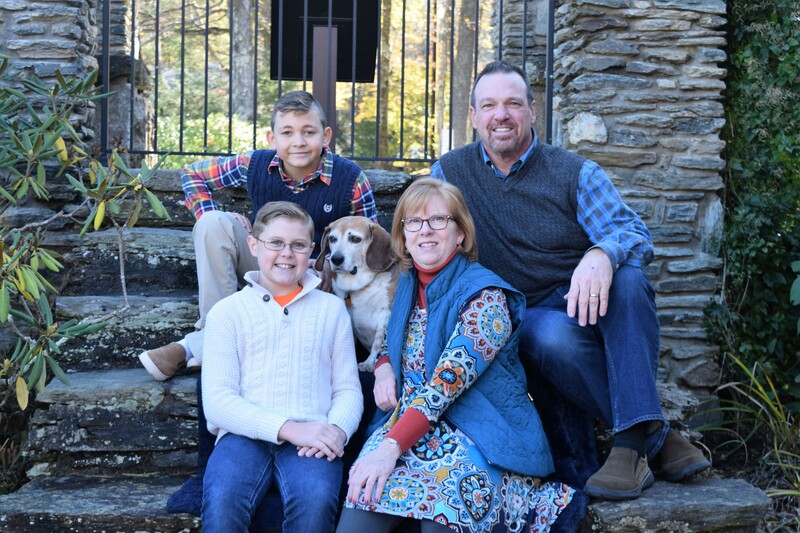 Joel was the Associate Pastor of the First Baptist Church of Weddington for eight years before moving to Arizona to work with the North American Mission Board in church planting. In addition to church planting Joel was on staff with Joni Eareckson Tada’s ministry, Joni and Friends/Arizona, as the Church Relations Coordinator. Joel holds a Bachelor’s degree from Wingate College and a Masters in Theology from Reformed Theological Seminary. He and his wife Susie were married in 1989. Through the years Joel and Susie have ministered in international short-term missions including Barbados, Peru, Haiti, Nicaragua, South Africa, Liberia, and Honduras. Joel and Susie have two sons, Eddie and Ray.